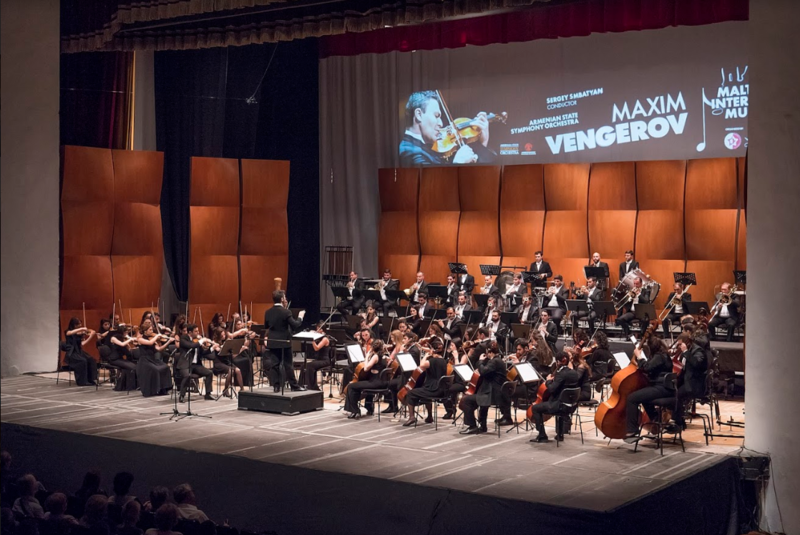 Maxim Vengerov performed the famous Violin Concerto for the first time when he was only thirteen. Since then, much water has flown under the bridges and, as he says, lots of changes happened in his mind, hands and body, especially after he began teaching and conducting. The violinist began to master the profession of the conductor on his teacher’s advice. Vengerov finds that except for the Maestro, he would not be a musician. They often performed together, recorded concerts (in 2004 receiving the Grammy award). 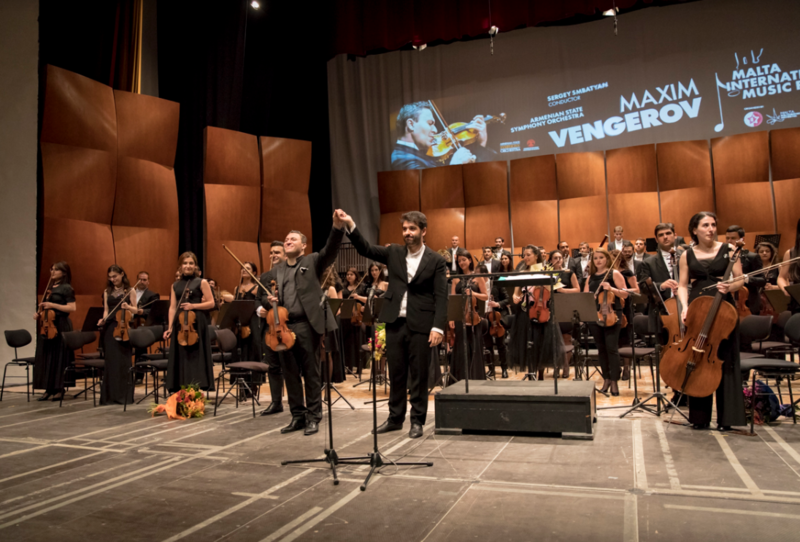 Perceiving the most important requirements of his master — to always take care of the musical idea, artistic image and not the technical side — Vengerov continues his successful career as a soloist and conductor. Let’s take the liberty to compare music to architecture. In Malta we can do so, with its architectural beauties uncounted (this small island has 360 churches). Medieval buildings, forts, castles, churches of fabulous beauty instil the musicians performing here with the new impressions and inspiration. The conductor’s way of thinking is architectural. We immediately recall the genius Goethe who once said that “architecture is frozen music.” Sergey Smbatyan in conducting reminds an architect who plans a beautiful and solid construction. The Swan Lake is a large 4-act ballet, with the libretto written presumably by the composer himself. On the one hand, this is a fabulous conflict based on the theme of fate and the ancestral curse, on the other — a drama with the typical leitmotif of the relationship of mankind and nature; the latter may punish but may also protect. All parts of the Suite were performed powerfully, theatrically. Waltz conquered the audience with its festive mode, game of timbres and vivid dynamics. The conductor achieved a stunning tutti, provoking a storm of applause from the audience between parts of the Suite. In all dances the conductor kept an amazingly fast pace with good coherence musicians. The Violin Concerto was performed frenzily, which always characterizes the genius of the violin art. 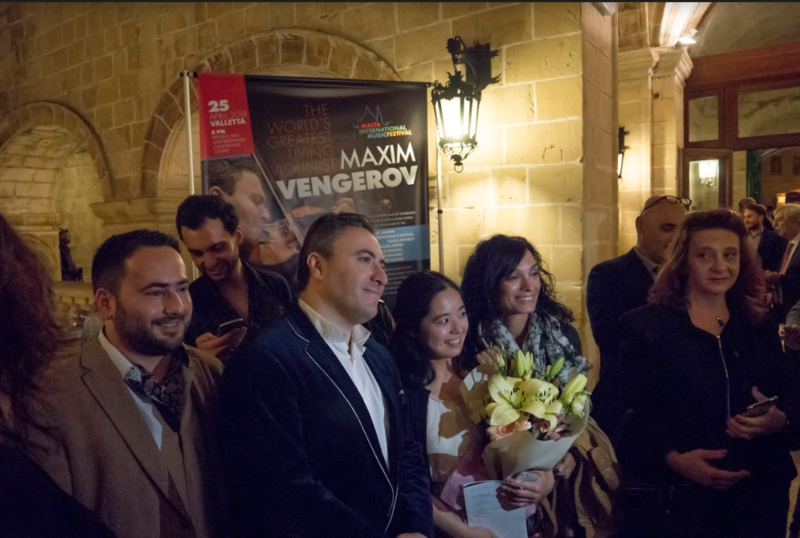 Vengerov’s Interpretation was catchy and long to be remembered. All the main themes of the first part were filled with great enthusiasm, and the most difficult cadence once again proved the perfection of the Maestro’s performance and further revealed the possibilities of the great Stradivari’s instrument in his master’s hands. The second part was a miniature canzonetta – echoes of Tchaikovsky’s Italian impressions. Here the soloist and the orchestra found the new colours of the story – light, elegant… The unexpected and effectively sounded the final attack, the sudden “storm” of the festive fun. Both the soloist and the orchestra showed a feeling of fullness of life and some special spiritual upliftment. The brilliant violinist was in great shape as well as mood. This evening the energy was literally boiling on the stage, the dynamics were reaching the top, and the emotions were rushing out. 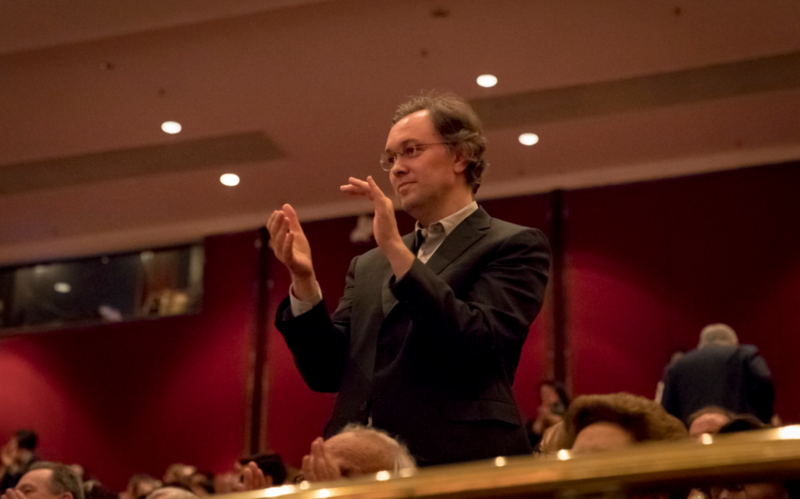 The last chord… and the audience burst into applause, shouts of bravi, and gave Maestro a lengthy standing ovation. For an encore, the musician has performed Alexey Shor’s “Barcarolle”, referring to the subtle allusions with the Italian painting and the Mediterranean landscapes. This piece with a clear, warm, cordial and simple melody has a deep inner emotional potential. It was a light romantic finale of the wonderful concert.